I've been in the business for many years and still look forward to that feeling I get each day at work when I am able to help someone feel good about themselves. I attended school in NY for both cosmetology and barbering and enjoy styling men and women's hair. Some of my favorite styles are short pixies, textured shags, precision bobs, and long layered natural looks. BIT ABOUT ME I was born in Queens, NY and have studied hair in NY, London, and Miami. When I'm not at work, I like to spend time with my wife and two sons and enjoy photography and playing the drums. Doesn't get any better than Henri! He goes above and beyond every cut. Great job at a moments notice! Did a great job of fixing an earlier cut that was not good. Thank you! Arrived early and he took me early. Worked out great! Henri always takes good care of his clients and makes sure to listen to their needs so they get exactly the cut they ask for. Another perfect haircut. Thank you, Henri. Henri is always the very best. He sets the standard for excellent cuts. You cannot do any better. Henri was at his best today. Coffee was too strong. My first Visit but not my last! Henri was awesome , I love my hair again. 1st Time visit and very pleased. Great cut and consult. Great blow dry as always! Wish I could have it every other day! Always enjoy the experience with Henry. Great banter and a perfect haircut. Outstanding service - Henri is the best! Henri is the best stylist! He listens and gives his expert advice, which I very much appreciate! Henri is fabulous! I can’t say enough good things about him. He made me love my hair again. Henri is a genius. I'd scream it to the world, but then I might have a hard time getting an appointment. Henri did a great job, I’m very happy with my haircut. everything was great! Friendly professional staff. Henri is caring, professional and a truly pleasant person . i look forward to my next appointment with him!! He takes his time and is very thorough and goes the extra mile for his clients. He trims my eyebrows! Henri is great. Also, the new assistant who washed my hair was very attentive and helpful. I always enjoy visiting Mango. That one hour allows me to decompress! Great experience all the way around. Everyone was friendly and helpful. I especially like my haircut! Cut my hair as I directed!! Very thorough and followed my plan perfectly! Henri was running a bit over from his previous appointment and he was kind enough to call and let me know. As usual an excellent experience! Henri is the best! What more can I say. He is an experienced professional stylist. Mango is lucky to have him. very efficient and accomadating, Henri is a good listener, and very professional. He cut my hair beautifully. Thanks Henri !!! Henri listens to his clients and gives feedback. He is extremely professional and cordial! Henri explained how he planned on cutting my hair and gave me multiple opportunities throughout the appointment to provide feedback. He was flexible in making sure I received the exact haircut I wanted for my curly hair. I'm so appreciative! I love my haircut! And I loved the level of service and attention I received throughout my visit. Henri is truly a master stylist!! Customer service was great, the people were friendly and accommodating, and Henri was awesome as usual. I am sending some friends to him at their request. I have been to your Mango Salon at Short Pump 2 times now and both times I had a very nice experience. I highly recommend you to many people. Thank you to all. Henri is great. Very attentive and very thorough!Always an excellent experience! Henri is a class act and is always keeping myself and his station clean throughout the entire haircut. 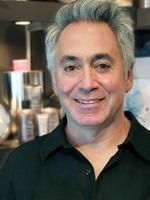 He is a pro and a great asset to Mango Salon. Henri has the knowledge and understanding from years of experience that is reflected in his work. He works hard to give you the best possible cut and color for you. Henri is the best! Everything was great but the best was my haircut. You got me into see Henri within a matter of days and Henri was able to make adjustments to my haircut easily and efficiently! Everyone is wonderful! I haven't let anyone but Henri touch my hair for 10 years. He's amazing and such a joy. Henri did a great job and explained the process as we went along so I knew what to expect. I would definitely come back. I appreciate getting an appointment on short notice in suc a busy week. Henri is terrific. He gave a wonderful hair cut and blow dry. Thank you. Until next time best wishes to all. Henry is the best barber I have ever had. That's why I am willing to pay $60 +tip for his services. Plus; he's a cool guy and musician. Great experience. Top shelf customer service. Henri is the best. What a nice man and has a gentle and caring soul and he is incredibly talented at his craft. Always fascinating and inspiring to watch a true artist and its easy to see he is all in on doing the best job he can. Everything...very warm and welcome greeting...especially since I was a walk in. Everyone was very professional and top shelf...Henri did an amazing job on my haircut and he was fabulous to be with. Really enjoyed getting to meet him. Henri and staff...awesome as always. I really liked my stylist Henri; he is first class! Very punctual and friendly. Henri is an excellent hair technician.